My first “Sunday porch,” from August 2013. . . 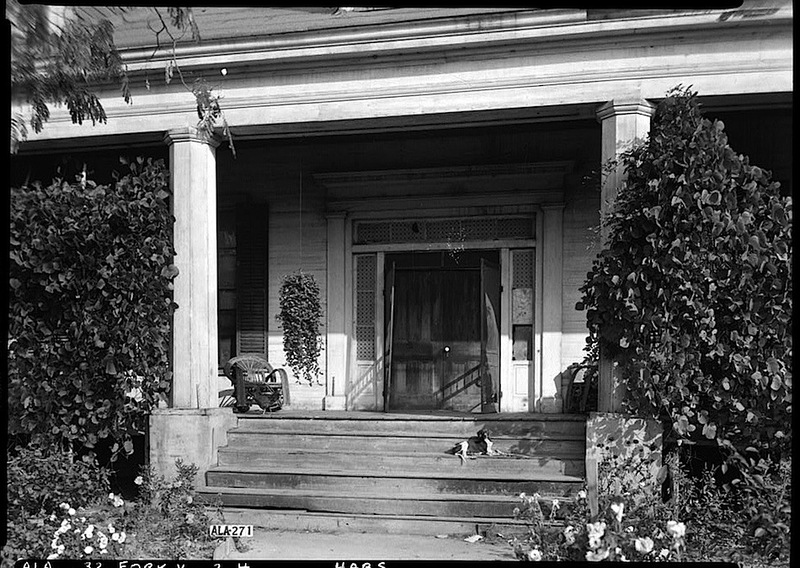 Strawberry Hill plantation, Greene County, Alabama, in 1939, by Frances Benjamin Johnston, via Library of Congress Prints and Photographs Division. The front porch is often a box seat for the theater of the garden or the street. This one seems to have half drawn its curtains against the buzzing, chirping action of the cottage garden below. Strawberry Hill, November 1936, by Alex Bush, for HABS, via Library of Congress. 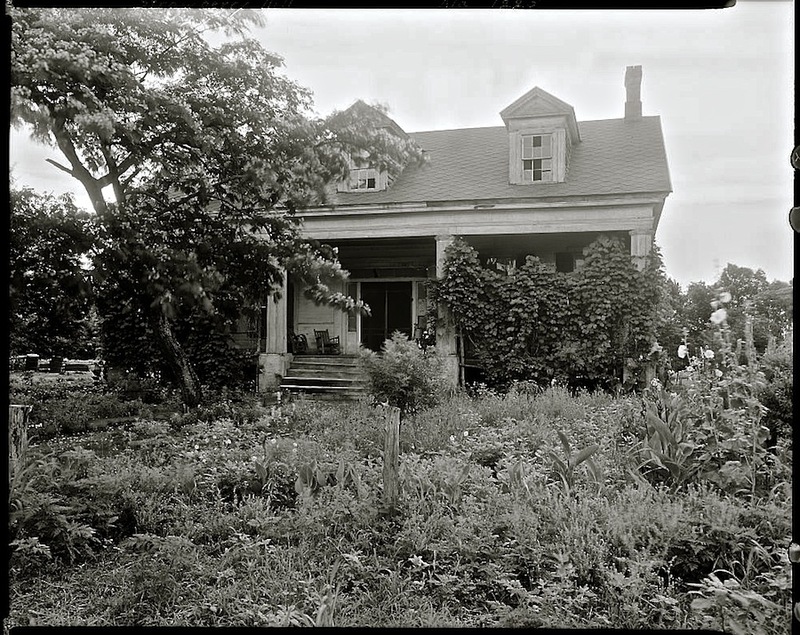 The mid-19th century house still exists, although without the vines and flowers. Its surrounding land is now a cattle ranch.